This case was designed to hold 6 Rogue R1 light fixtures in a 96" x 90" truck pack configuration. 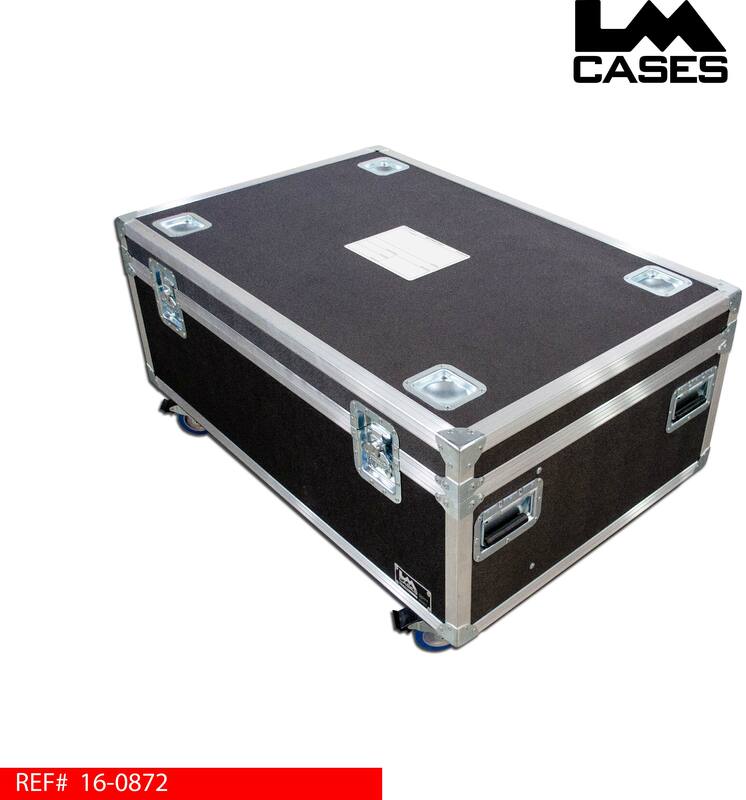 The case is 48" wide x 30" deep allowing it to be half packed in a 96" truck and third packed in a 90" truck. The light fixtures are held in a custom cut CNC foam insert made out of PE foam. 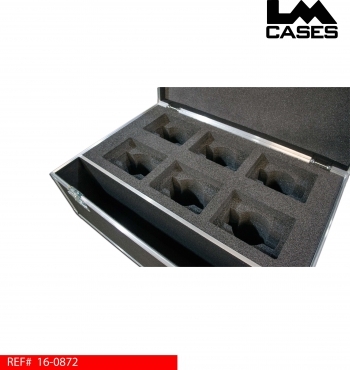 The foam insert is designed to hold the fixtures upside down with clamps attached. The case also features a carpet lined accessory compartment for safety and power cables. 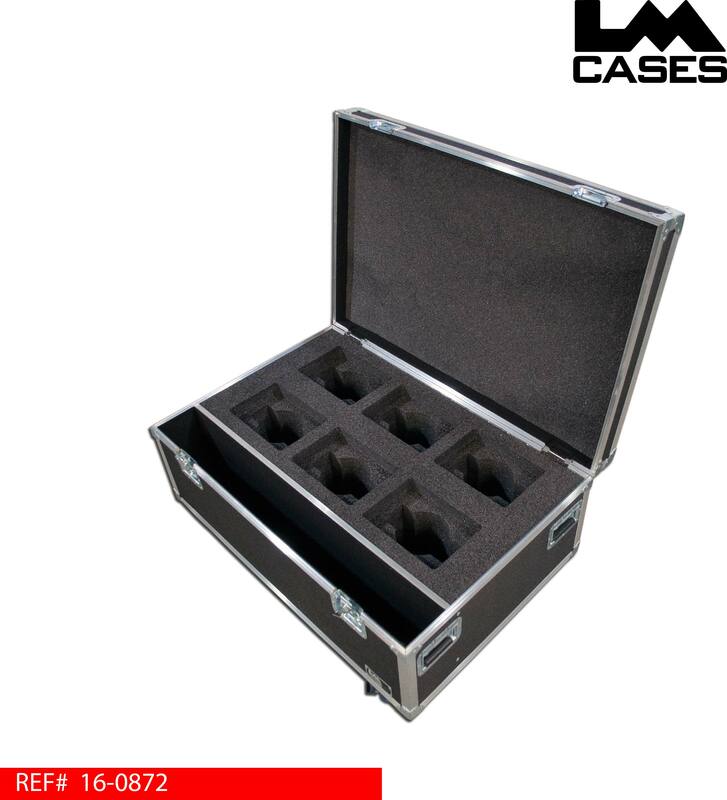 The case exterior is built out of 3/8" plywood laminated with black ABS plastic and features deep recessed handles, 4" Colson casters (2 locking), stacking caster wells, recessed lid stays and a route out for a McLoone case label.